Beck Legal’s litigation team act for property owners, purchasers, landlords, tenants, developers, contractors, businesses, individuals, trustees, beneficiaries and neighbours in all types of property disputes. Our team are known for providing both legal and practical advice. What this means is that we will tell you where you stand on a matter legally speaking. We will also provide you with practical advice on what you should do. Simply because you are in the right does not mean that you should proceed to litigate a matter. You need to weigh up costs, time, the availability of any chance of early settlement, the assets of the other party, and the risks of losing, and what other options you have. Litigation is rarely the only (or the best) option. At Beck Legal, communication and responsiveness is key. 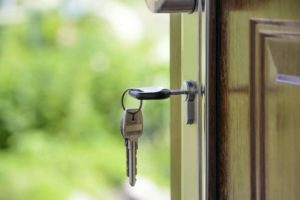 Many aspects of property disputes can have strict deadlines which if missed can result in you being barred from taking any action or defending a matter. We take a proactive approach and are always on the front foot of property disputes in order to manage the outcome of the matter as best as possible. We approach every property dispute matter by taking the time to understand what you are looking to achieve upfront. Whether you are wanting to be paid a certain amount of money, take possession of a property, affirm a lease or otherwise, we can create a roadmap to achieve it. We act for parties involved in all types of property matters, including in respect of land, developments, residential complexes, infrastructure, shopping centres, retail and industrial complexes. Beck Legal understands property disputes and litigation. We have the resources, expertise and track record to advise on and negotiate a positive resolution for your dispute. We make the process as smooth as possible by being proactive, explaining what things mean in plain English and giving you options. If you are involved in a property dispute, talk to our property disputes and litigation team to see what we can do for you. You can contact us here.